Question: Best days of elementary school? Answer: When I got my new school supplies, including a handful of dangerously pointed pencils and stacks of white, blue-lined notebook paper. And then came those delicious first marks written on the clean, crisp page - oh the possibilities! With that level of excitement over writing materials, you can imagine my joy in later years, opening my painting and drawing supplies for art classes. When I begin a new painting, I experience that anything-is-possible sensation again. I’m now painting primarily on smooth, beautiful wood panels. 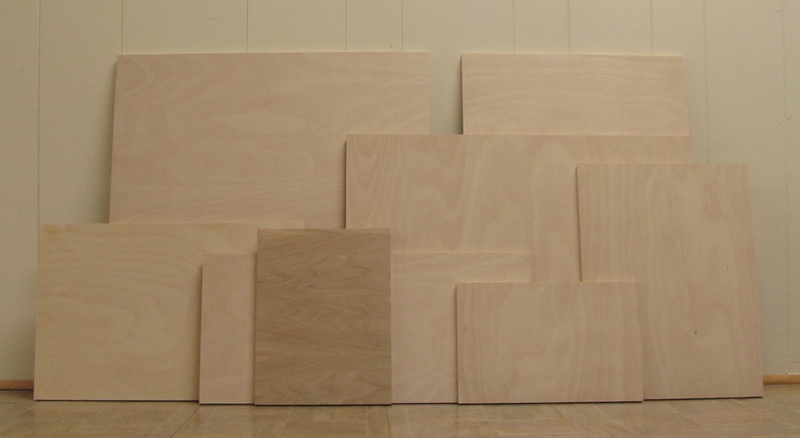 When starting a new work, I usually collect my ideas, notes, reference photos (shot by me in an earlier photo session) and then pull out some panels which I have either purchased from a supplier or had cut to specific sizes by a lumber yard. I spend lots of time thinking and staring. Mulling over intent and desire, I begin to further develop and refine my ideas and consider my compositions in relation to the various sizes of the panels. Later there will be sanding, brushing the panels with coats of gesso, more sanding, drawing, and of course, the first layers of painting. By then, certain parameters have been chosen, the coordinates are locked in and I am well on my way. But for now, at the beginning, it is all about choosing the destination and plotting the journey. Truly, anything is possible and that is its own kind of bliss.